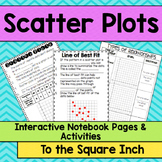 This is a collection of games, activities, and notes that will engage your students in learning about scatter plots. 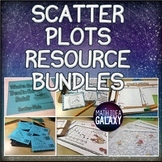 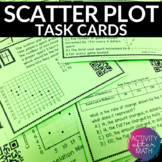 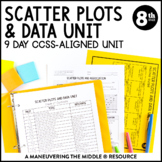 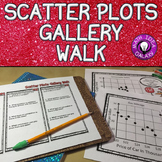 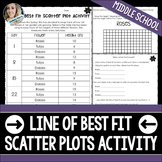 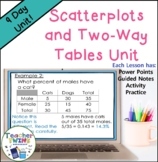 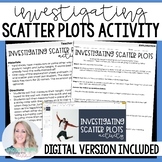 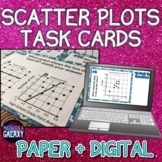 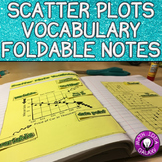 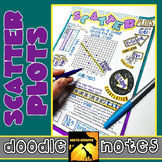 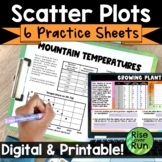 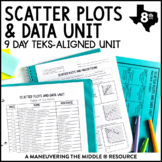 This is the perfect addition to your class and will give students more practice with scatterplots and can be used for differentiation, centers and stations, homework and bellringers. 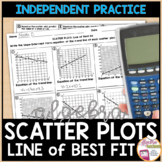 This is set of student "Task Cards" on the concept of Scatter Plots, Correlation and the Line of Best Fit. 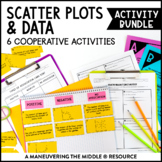 Included is a set of 14 "Task Cards" with questions on correlation in situations, writing the equation of the line of best fit, and interpreting and applying the line of best fit. 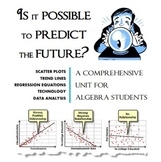 **These "